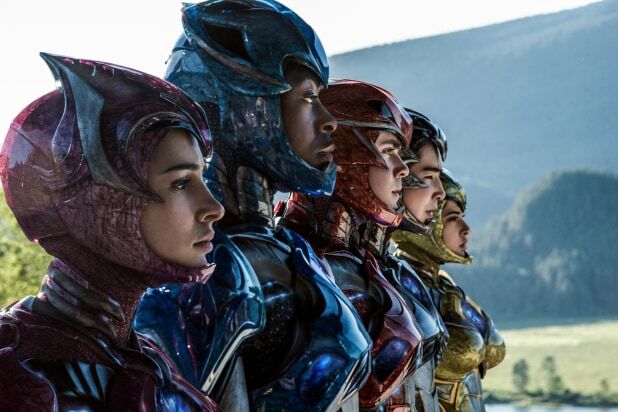 Malaysia will screen “Power Rangers” — the first big budget superhero movie with an LGBT protagonist — without cuts. According to Golden Screen Cinemas and TGV Cinemas, the two biggest cinema chains in Malaysia, the film will open on Thursday and tickets are already on sale. @man_yusoef POWER RANGERS movie will be start screening by 23 March 2017. We will update the showtime by today. The greenlight comes one day after Malaysia’s Film Appeals Committee overturned last week’s ruling by the censorship board that Disney’s “Beauty and the Beast” should be cut because of what director Bill Condon called an “exclusively gay moment” in the family film. Director Dean Israelite told IGN, "I read the script and was really surprised by it and thought there was a really cool, contemporary, mature but still playful, buoyant and fun take on the material, and was updated in a really interesting way." 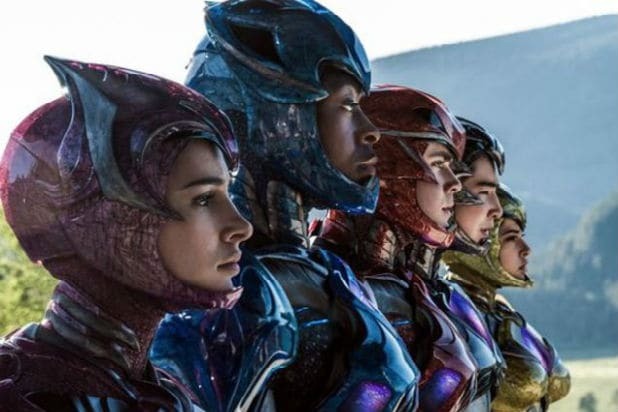 Israelite shot a massive amount of action coverage on "Power Rangers," breaking the record for the most dailies three days in a row. The new costumes have ditched the all-Spandex look of the originals for a more tactical body armor appearance. Rangers are drawn from the free planets. They're the best and most disciplined, having been chosen from billions and taught from the time they were children. Elizabeth Banks' Rita Repulsa is 65 million years old and is a former Green Ranger gone rogue. Bryan Cranston's Zordon was the original Red Ranger millions of years ago, long before being transformed into a state of pure energy. Bill Hader's Alpha 5 is a robot with a supple metallic body and is able to mutate into different designs to maximize his role. Anyone who grew up in the ‘90s knows the "Power Rangers" theme song. In the most recent trailer, an updated version for the next film can be heard in the closing moments. The Zords are massive. In the movie posters, they appear to be significantly bigger than what we’ve previously seen. Putties will make an appearance in "Power Rangers" in a scene where Rita Repulsa is trying to steal gold bullion from the Central Bank of Russia. Five Putties made of stone in a later scene challenge the Rangers. Goldar's molecular essence is scattered around the globe after he was vaporized into a cloud of microscopic gold particles in the opening action sequence on Ancient Earth. Rita Repulsa collects gold to resurrect Goldar... and the Rangers have just 71 hours to stop her. The Zeo Crystal is protected by a force field. Anything that comes in contact with it is vaporized. Goldar was created with a single purpose -- to penetrate the force field and steal the crystal. The Zeo Crystal is an artifact that channels the Morphing Grid -- a dimension that weaves through all things and what gives the "Power Rangers" their power. The crystal was hidden on Earth to keep it out of the hands of those who would use it as a weapon. Rita Repulsa has been trying to deliver the Zeo Crystal to her master, Lord Zedd, for a long time. It would make quite a statement, as he burned half his face off trying to steal it himself.